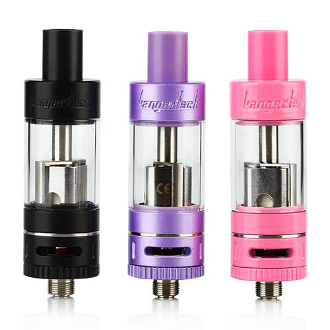 We are proud to introduce another addition to Kanger Tech’s new top filled clearomizers line: the Kanger Top Tank Nano. It has been modified only in the best ways and this clearomizer kit will include the Nano like you have never experienced before. Through its upgrades you can now give your threading a break by leaving your clearomizer attached to your battery while you fill it through the top. Your messy fills and awkward fumbling will cease to exist with this easy new way of putting liquid into your Nano. The Kanger Top Tank Nano will also feature Kanger Techs new SSOCC coil line. These coils are designed for an even better vape hit as they allow more vapor, airflow, and (our favorite part) flavor!